The Comexi F4 machine is the reference in this market segment. 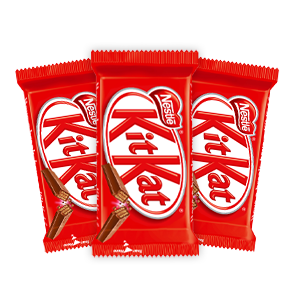 After its market launch in 2010, sales have been successful and it is currently being reproduced by various players within the sector. 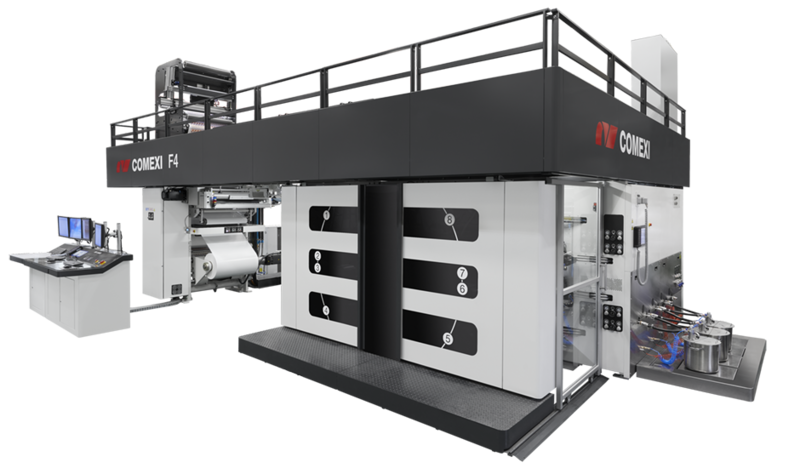 The Comexi F4 press has 8 decks adapted for a front print. Its design adapts to the easy access requirements for maintenance and daily operation thanks to the FLEXOEfficiency concept. With a central drum that is 1.5 m in diameter, access to any printing unit is extremely easy, without the need for ladders or platforms. Weighing 7 kg and with highly manageable dimensions, the doctor blade is assembled in a closed swinging chamber mounted on linear guides, with automatic horizontal movement by means of low friction, pneumatic pistons. It has been designed to maintain the inking position with the minimum pressure of the blades against the anilox. It is easy to dismantle without having to disconnect the inking tubes, facilitating the cleaning and changeover. The plate cylinder and anilox sleeve changeover takes a couple of minutes, the smaller dimensions of the printing unit significantly facilitate the handling of these elements. The covers are opened manually, in a quick, simple way. The Comexi F4 is fitted with a top platform which provides access to all the elements requiring maintenance or cleaning. As an option, it can include an automatic drum cleaning system. The second one corresponds to the drying tunnel, which is 4 m long, covered with very thick insulating material to minimise heat loss, made up of twelve drying boxes each with a blowing nozzle. The screens can be dismantled easily and do not need tools for cleaning. The tunnel includes a specific opening for maintenance and cleaning. The whole drying system is located on a platform that provides comfortable access for the maintenance tasks. The Comexi F4 printer is designed so that most of the functions can be controlled from the control console. The SIMOTION platform provides for high electronic integration, thereby eliminating electronic equipment containers and facilitating maintenance tasks. The following is done on the screen: moving printing units forwards/backwards, starting up all the accessories, selecting the machine tensions, temperatures and speed, inserting the preset meter changeover order, manoeuvres, etc. You will obtain production data for subsequent analysis: the amount of quality meters, amount of meters lost, job duration time, stop times, print times, average real speed, etc.